Hall Caine was an enormously popular and best-selling author in his time. Crowds would gather outside his houses hoping to get a glimpse of him. He was "accorded the adulation reserved now for pop stars and footballers", and yet he is now virtually unknown. Vivien Allen suggests two reasons for this. 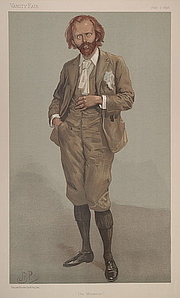 First that, in comparison with Dickens, his characters are not clearly drawn, they are "frequently fuzzy at the edges" while Dickens' characters are "diamond-clear"; and Caine's characters also tend to be much the same as each other. Something similar could also be said about his plots. Possibly the main drawback is that although Caine's books can be romantic and emotionally moving, they lack humour; they are deadly earnest and serious. Hall Caine is currently considered a "single author." If one or more works are by a distinct, homonymous authors, go ahead and split the author. Hall Caine is composed of 9 names. You can examine and separate out names.